The Blackwater Photographic Society had a well supported night on Flash Photography with over forty members in attendance. 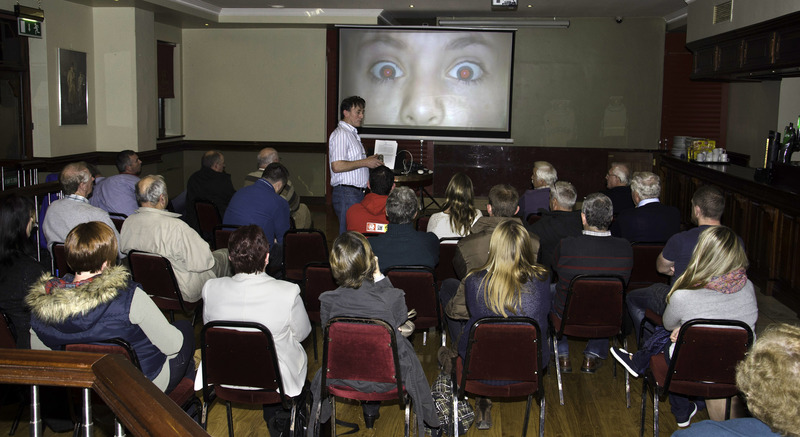 Sean Murphy covered all aspects of flash from compact camera flash to SLR popup flash to off camera speed-lights using lots of images which helped show the advantages and disadvantages of various forms of lighting in photography. The night finished off with members questions on equipment and photography being answered by the more experienced members. Next Week Oct 21st Model shoot Halloween theme. Everybody bring along your cameras for a great night of studio photography.